Situated on the Atlantic coast of Canada is the historic capital of Newfoundland and Labrador – St. John’s. With over 108,000 residents in the city, it is the province’s largest destination. St. John’s offers you its lively music scene and a collection of historic sites. 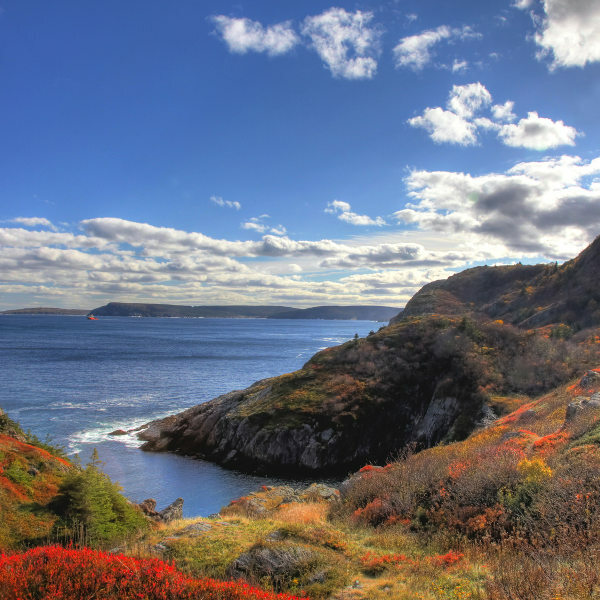 Popular attractions include Signal Hill, East Coast Trail and Bannerman Park. Get ready to explore one of the oldest English-founded cities in North America, because cheap flights to St. John’s are now available for a limited time! St. John’s is home to St. John’s International Airport (YYT), a 15-minute drive or a scenic hour’s bus ride from the city centre. St. John’s dates back to the early 16th century, and has been involved in several wars, including the American Revolutionary War and the War of 1812. Get a glimpse into this city’s past with a visit to one of its many historic sites. One of the most outstanding features of this Canadian destination are its multi-coloured buildings, popularly known as the Jelly Bean Row Houses. Stroll along the streets and admire these eye-catching structures in St. John’s, a depiction of this city’s time under British Rule. Take a walk to one of the historic sites on the cliffs off the coast of St. John’s and enjoy panoramic views across the Atlantic Ocean. Should you visit during the spring, you might even get the chance to spot icebergs and whales! St. John’s is a popular destination to visit anytime of the year. When to visit should be decided on what you plan to do when you’re in the city. It would be wise to pack extra layers of clothing, no matter when you visit St. John’s. The best time for iceberg and whale spotting is during the spring (April – May). Temperatures during this time range between 5 and 10 degrees Celsius, and you can expect a considerable amount of rainfall, so be prepared for cold and wet weather while enjoying these exciting opportunities for spotting the whales and icebergs. The summer months (June – August) bring the warmest temperatures (around 20°C in July) and the lowest rainfall. Conditions such as these make this period ideal for visiting the city’s many historic sites and enjoying festivals and events such as the Canon Launch (June) and Family Fun Day (July). During the autumn (September – October), temperatures descend from 15 to 10 degrees Celsius and there is an increase in rainfall. Despite these conditions, this period is the hiking and camping season, with tourists flocking to the national parks to admire the lush greenery. Outdoor activities like skiing, snowboarding and snowmobiling are perfect for the winter (November – March). This season brings snowfall and a significant drop in temperature (the maximum temperature ranges around 0°C during January and February). Discover the eastern-most destination in Canada – St. John’s. 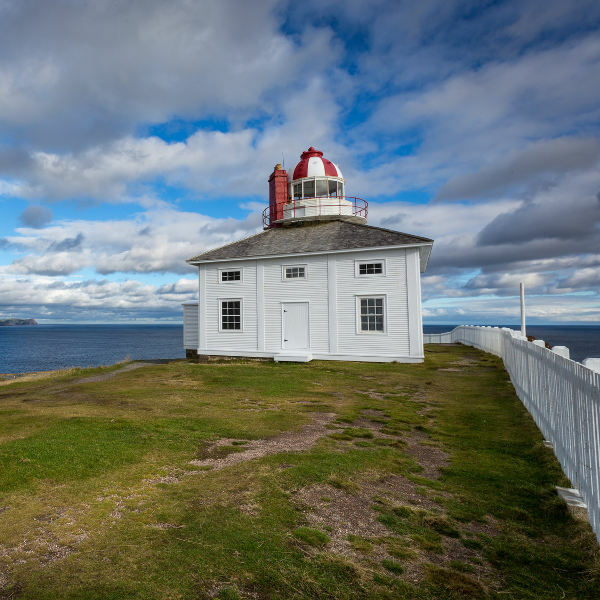 It is one of the oldest cities in North America, and includes a range of historic sites and architecture, such as the Cape Spear Lighthouse and the brightly coloured houses on the residential streets. Not only is St. John’s rich in history, it sits on one of the most beautiful natural harbours in the world. 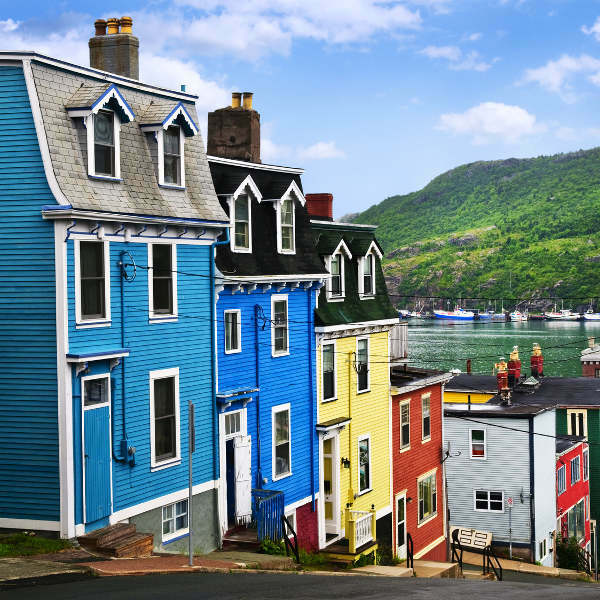 Other historic attractions that you can find in this Canadian city include the Cabot Tower on Signal Hill, the fishing community of Quidi Vidi, and the vibrant scene of Water Street. On Military Road, admire the most stunning architectural structure in St. John’s – the Basilica of St. John the Baptist, which includes elegant statues and a stunning ornate gold-leaf ceiling. Besides skiing, snowboarding and snowmobiling, additional outdoor activities include a variety of hiking trails, like the East Coast Trail, and experiencing the thrill of ziplining. The arts and entertainment scene in this Canadian destination makes exploring it an even greater pleasure. Discover where all the talent is cultivated, at the Resource Centre for the Arts. Immerse yourself into the vibrant culture of St. John’s, with a visit to the famous George Street, which is home to nothing but alluring restaurants, bars and pubs, many offering exciting live music in a variety of genres. Compare several airlines and book your cheap flights to St. John’s online at Travelstart. While walking around and discovering everything that St. John’s has to offer, you may encounter beggars. A simple “no” or ignoring them will be enough to deter them. On rare occasions, these individuals may become violent, so remember to stay alert at all times. When enjoying the nightlife, make sure to avoid the areas of Buckmaster Circle, Crosbie Road, Livingstone Street, Water Street west, Shea Heights, Old and New Penneywell Road, and the areas around Hamlyn Road. Be careful when dining at one of the restaurants, pubs and bars of George Street, especially on Friday and Saturday nights. Some locals may become violent, when drunk, but you can avoid trouble by simply staying out of their way. The 24-hour restaurants and convenience stores are reported to be hotspots for armed robberies, so it would be wise to not make yourself a target at these establishments in the early hours of the morning.